One of the many things I like about this city is that you can try cuisine from all over the world and never be disappointed. 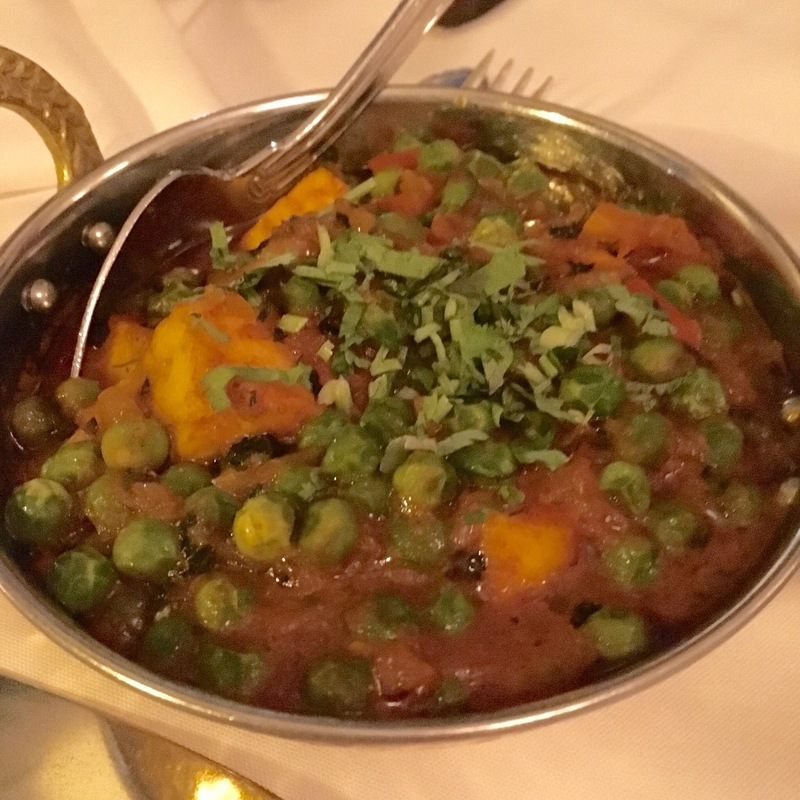 One of the places I like to go to when I feel like Indian food is Gandhi in the Old Port. The decor is pretty simple not banking on the whole Indian theme which I find pretty good. White walls with high ceilings and lots of windows create a cosy environment fit for all occasions from friends get together to dates. It can get pretty busy so I would recommend reservations before you decide to try it. We usually go there as a group and that makes it for interesting conversations and lots of different dishes. 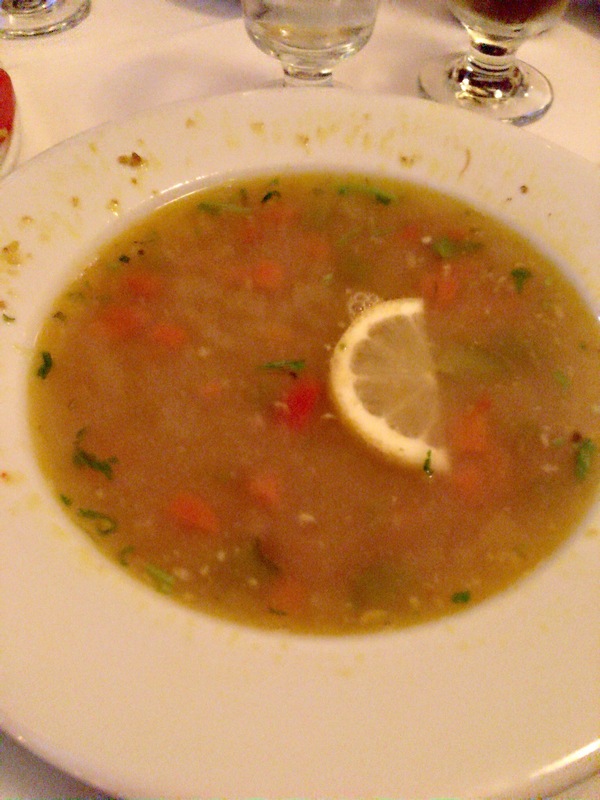 On this visit we had the Mulligatawny soup for starters a traditional soup made with chicken broth, vegetables and slightly spicy. 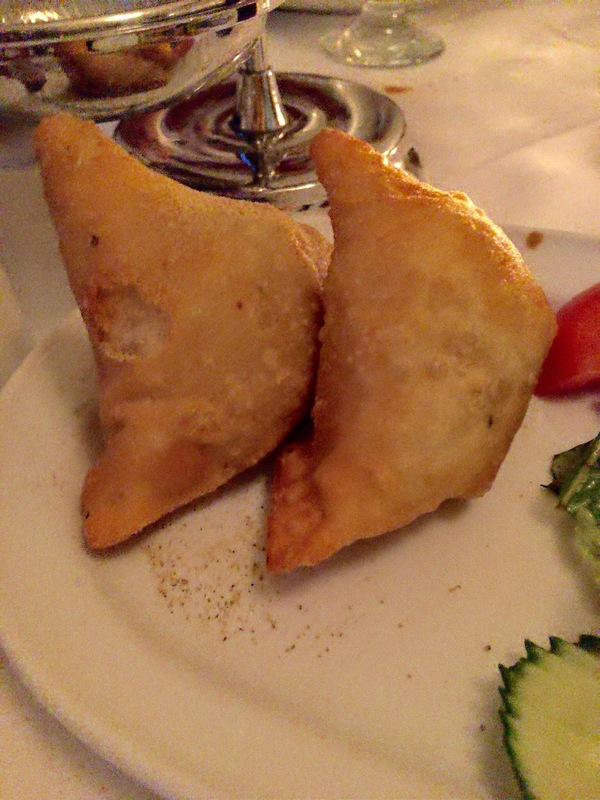 We then followed with some samosas we order two orders of those stuffed pastries some with beef and the other with vegetables. 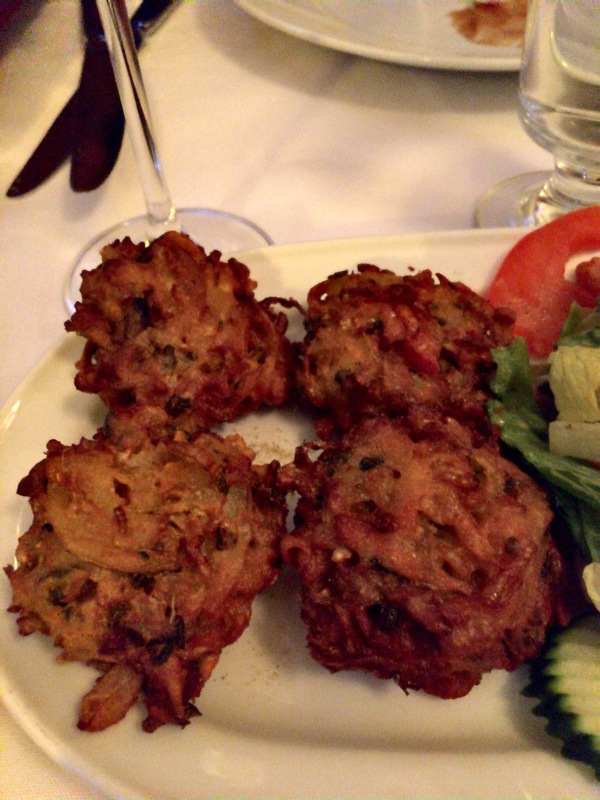 Staying in appetizers we then ordered some Pakora that are seasoned vegetables fritters and Oignon Bhajee fritters that are both fried in Indian butter. 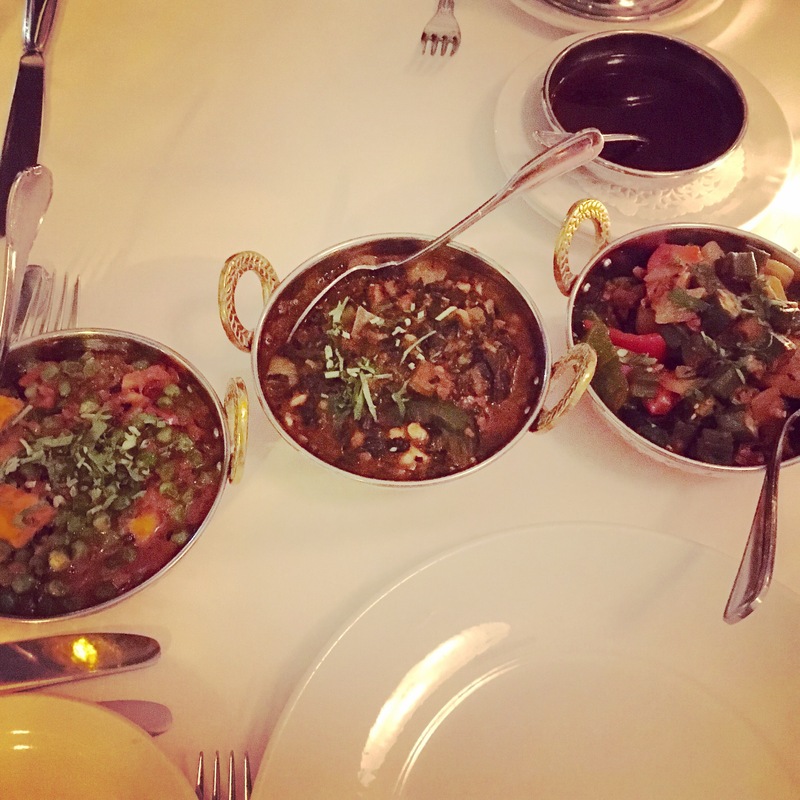 For the main course we picked a few of their curry specialties, we ordered some shrimps Pathia a slightly spicy sweet and sour curry prepared with onions, tomatoes, green peppers and spices. 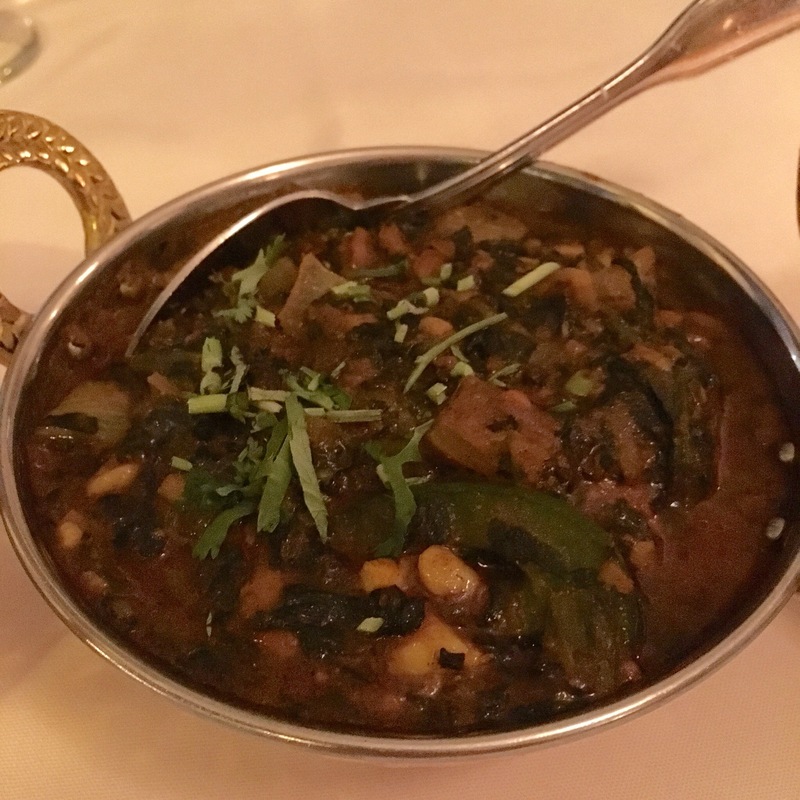 The lamb Sagwala was also very good a little spicy curry again prepared with onions, tomatoes, green peppers but with fresh spinach and coriander. 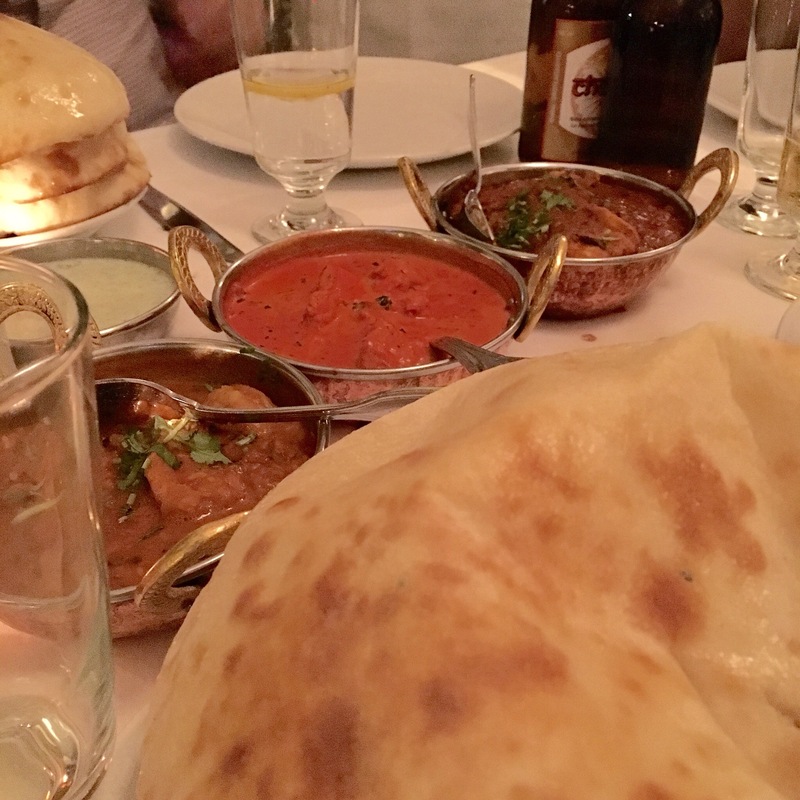 We also ordered some chicken vindaloo, Bindhi Bhajee which is a vegetarian dish and butter chicken. For the butter chicken some people find it sweet so the trick is to order it slightly spicy and that fixes the issue. I could honestly not tell the difference but having friends from different cultures always helps when they actually know what they are ordering. We also had some Mattar Panir a spiced cheese cooked with green peas and of course we got some basmati rice and naan bread to go with that feast. This might look like a lot of food but we were 5 and we only over ordered by a dish. 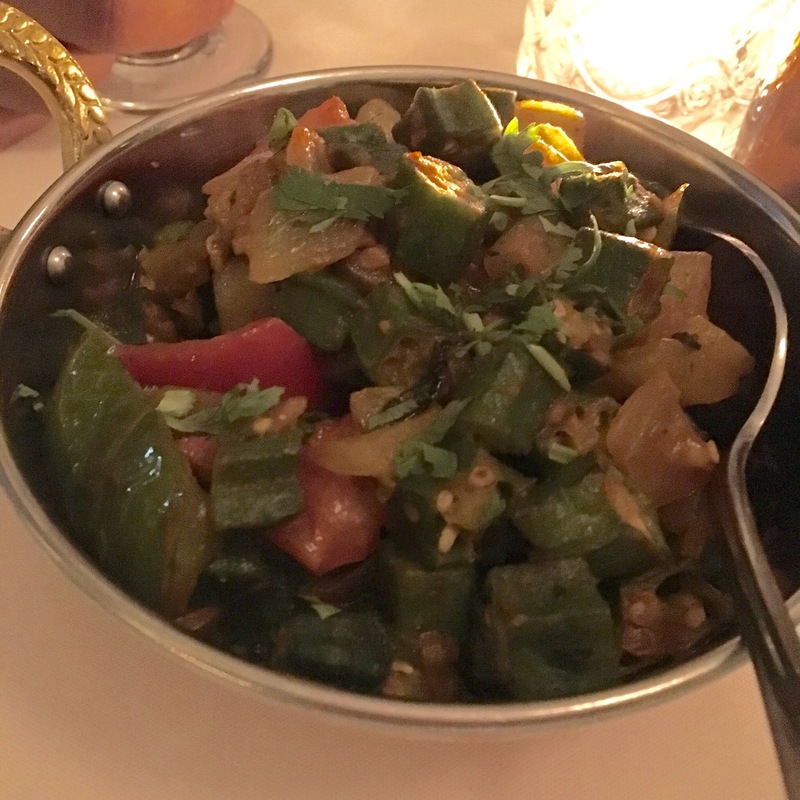 Fun time and good food if you’re in to Indian food or if you want to give it a try.